How do I get an external firm or company to update some of my information? Go to the Admin dashboard. 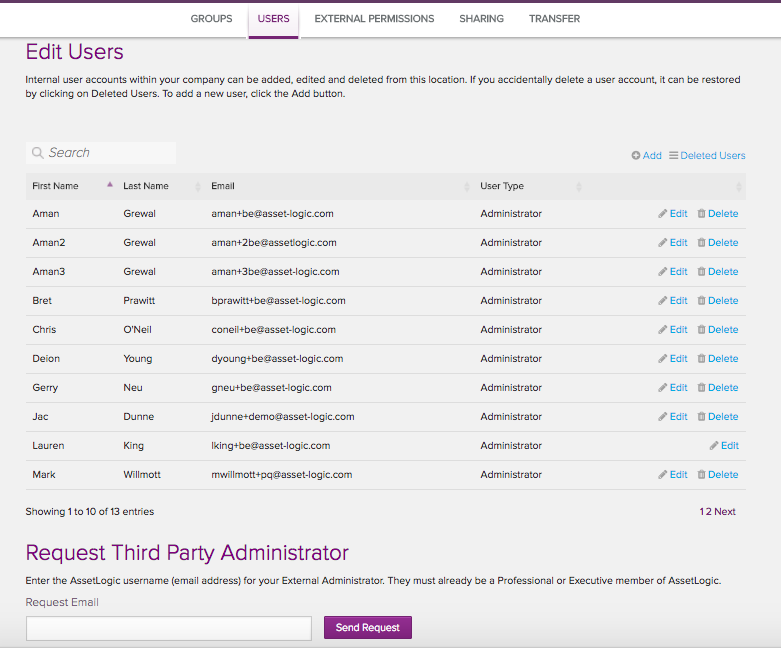 Under Users you have the option to Request Third Party Administrator. This enables you to email them to ask that they edit your information. This functionality is only available on an upgraded account. What is a guest account? How do I share data with one of my guest members? How do I create a guest membership? How do I share information with an internal user? How do I share information with an internal user? How do I create a guest membership?